This hardshell case for the Epiphone Thunderbird bass guitar is a rugged wood case covered in Tolex and featuring padded plush lining, heavy-duty handle, and accessory compartment. Super-tough hinges and drawbar latches. 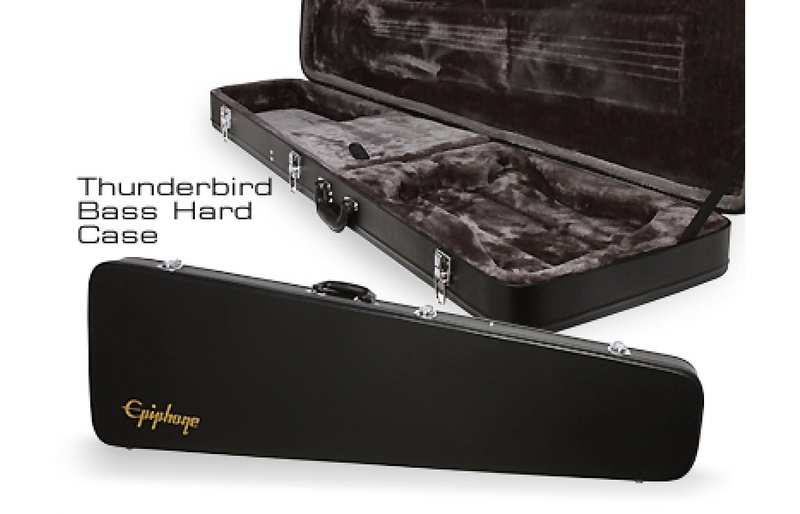 The Thunderbird hardshell case's contoured design saves weight while still providing maximum protection.